You are browsing the archive for Speaker. End of last year I received an invitation to talk at a community event in Zurich. This will be my first speaking engagement in 2015 and hopefully one of many. On February 9th Kenny Buntinx and myself will be delivering two sessions entitled “Armoring your mobile workforce for the 21st century”. Focus for both sessions will be on Unified Device Management with Configuration Manager and Microsoft Intune. The first session will be a general overview and during the second session we will deep-dive further into the technical details and demonstrate some more advanced scenarios. During this one day event we are joined by other top quality speakers who will be delivering multiple sessions on a wide range of topics. Something to look forward to. Make sure to join us if you are around! End of this week I will be on a plane to the US again. Destination this time will be Minneapolis where I will be attending the Midwest Management Summit, or MMS. At MMS I will be delivering two sessions together with my friend and fellow MVP Kenny Buntinx. 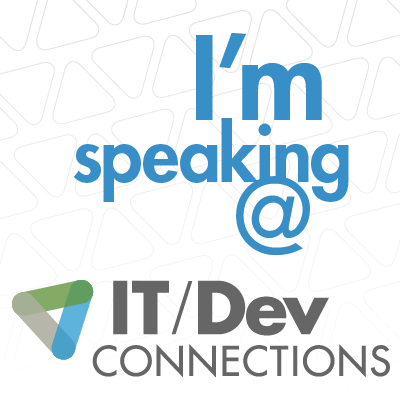 Our sessions are scheduled on Tuesday the 11th and both will be about Unified Device Management with Configuration Manager and Intune. During the first session we will dive into the setup and configuration aspects while in the second session we will look more into practical scenarios related to mobile device management. More details and a complete sessions overview can be found on the event website. Interested? Registrations are currently still open so you can still attend! In 2014 BriForum is celebrating its 10th year, and I am honored to be one of the speakers at BriForum London 2014. The 2-day event is taking place on the 20th and 21st of May and will have a fully loaded program including over 30 technical sessions. In a few weeks time I will be on stage in London co-presenting a breakout session with my friend and fellow SCUG member Kenny Buntinx. This session dives into what you’ll do at the server level to drive Configuration Manager 2012 R2 and Windows Intune integration for mobile device management. The session includes real life experience from the field to setup a subscription, connectors, certificates, Active Directory Federation Services (ADFS 2.0/2.1/ 3.0), DirSync, and workplace join scenarios among all possible different server configurations that enable mobile device management in all its beauty. As you can see we will be covering quite some technologies and we are planning to show some neat demo’s along the way. Next to ours there are plenty of other sessions covering various hot topics. Curious? Make sure to have a look at the full conference agenda. And don’t forget: Registration for the event is still open – so you can still attend!